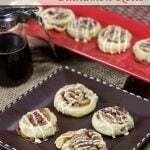 These Maple Glazed Cinnamon Rolls are one of the featured items at Smuggler’s Notch Resort in Vermont. One bite, and you’ll see why! Moooose. Moooooose. Yup, that’s our patented moose call that we use every time we drive into Vermont. No, it hasn’t worked yet. But we are determined to see a moose on one of these trips! 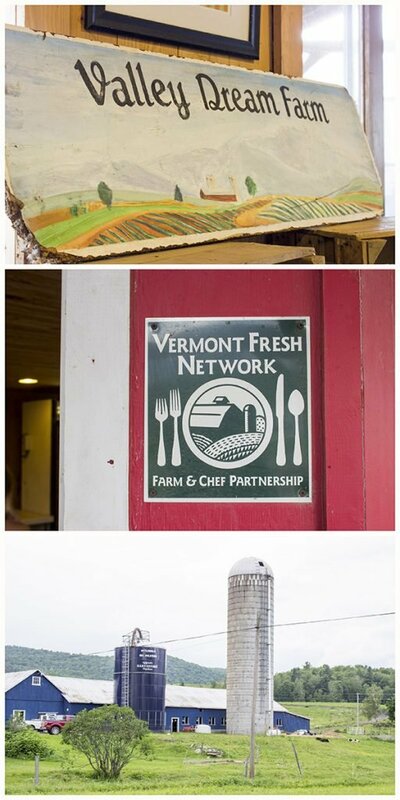 If you’ve ever traveled in Vermont, then you are well aware of how awesome this state is. Every state has its own feel and culture, but Vermont is just different. This wooded state doesn’t really have any large cities outside of Burlington, and there really aren’t any major interstates that cut across the wooded landscape. Instead, state highways connect town after town. This means that a drive through the rolling hills and mountains of Vermont is an awesome experience. You never know what you’ll come across. For fans of good beer, Vermont actually has the most craft breweries per capita of any state in the country. Yes, the country. For fans of outdoor activities, there is no shortage of paths for hiking, biking and climbing. The Long Trail runs the length of the state and is a favorite for avid hikers. For fans of skiing, Vermont is well-known for its incredible ski resorts and peaks. My wife and I recently had the opportunity to travel to Smuggler’s Notch for several days of kayaking, winery and maple farm touring and just generally relaxing. Oh, and there may have been a lot of good eating in there, too! Smuggler’s Notch, located near Stowe in the northern portion of Vermont, is well known as a family ski resort in the winter. Called “the granddaddy of all family resorts” by MSNBC.com, Smuggler’s Notch (or Smugg’s for short) features 78 trails ranging from beginning level (that’s where you’d find me!) to triple black diamond. Oh, and they get about 24 feet of snow up there every winter. But it’s not the winter…at least not yet! My wife and I took the 3.5 hour drive from our house up to Smugg’s a couple of weeks ago, and our trip was amazing! It might seem counter-intuitive, but ski resorts are actually a great place for summer vacations. Sure, Smugg’s might not have had any snow while we were there, but we had more than enough activities to keep us busy. Smuggler’s Notch has earned a number of awards as the #1 family resort in the country…and it’s easy to see why. From the eight heated pools on site (several with water slides!) to the ziplines, tennis courts, hiking trails, mini-golf and even llama treks, there are plenty of activities to keep everyone in the family busy. Yes, I said llama treks. But let’s talk about the food for a bit, shall we? After all, I spend my day thinking and talking about food…so it’s only reasonable that you should find some foodie talk here on Spiced! I can honestly say that the Hearth & Candle was one of the best restaurants that my wife and I have visited since we left Atlanta several years ago. The chef at the Hearth & Candle absolutely understood how to pair flavors to create incredible dishes. For instance, my wife ordered the Korean BBQ Chicken and Waffles which featured green onion + ginger waffles topped with local chicken and house kimchi. (Don’t be surprised when that recipe pops up here soon!) I seriously would make the drive back and stay at Smuggler’s Notch just to go to that restaurant every.single.night. We kicked off our first morning at Smuggler’s Notch with breakfast right in the middle of the Resort Village at the Morse Mountain Grille. You guys know how much I love my “weekend breakfast food,” and my eyes immediately landed on their signature breakfast item: the Maple Glazed Cinnamon Roll. This wasn’t just any old cinnamon roll. This thing was huge! In fact, we split it among the four of us at the table. Vermont is the largest producer of maple syrup in the country, and they are proud of their maple recipes. Maple syrup makes it’s way into everything from house salad dressings to soft serve ice cream. But this Maple Glazed Cinnamon Roll was a stroke of pure genius. Combining maple and cinnamon in a decadent breakfast recipe is pretty much my idea of perfection! Speaking of maple syrup, we took one of the planned activities out of Smuggler’s Notch to go kayaking down a local river to a maple farm. How much more quintessential Vermont can you get? Kayaking to a maple farm! We may or may not have left with a carload of maple syrup…just sayin’. And this is just one of the hundreds of various activities at Smugg’s. 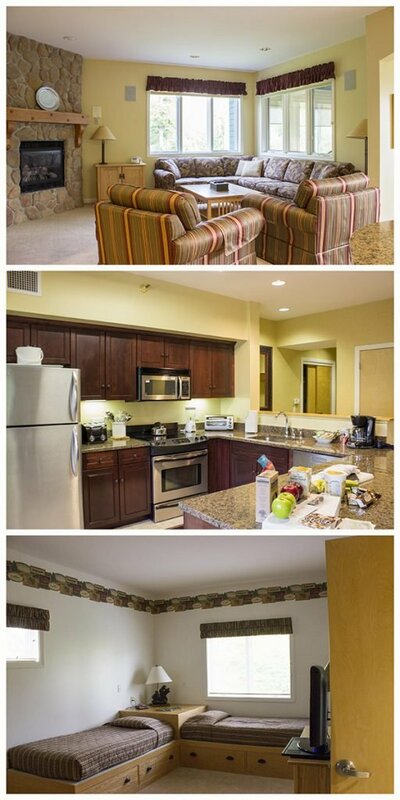 After the activities, we were able to retreat back to our 3-bedroom condo for a little rest + relaxation. This condo included a full-sized kitchen, a large family room and a porch large enough to hold a 4-person dinner table. I could absolutely imagine splitting this condo in the future with our friends who just had a baby last year. The adults can hang out in one room while the kids have another all to themselves! But back to the food…ok, maybe food and drink since we also had the chance to visit Boyden Valley Winery in nearby Cambridge, VT. The wine tasting was booked through Smugg’s which meant all we had to do was show up and drink wine. Oh, and eat tasty cheese. 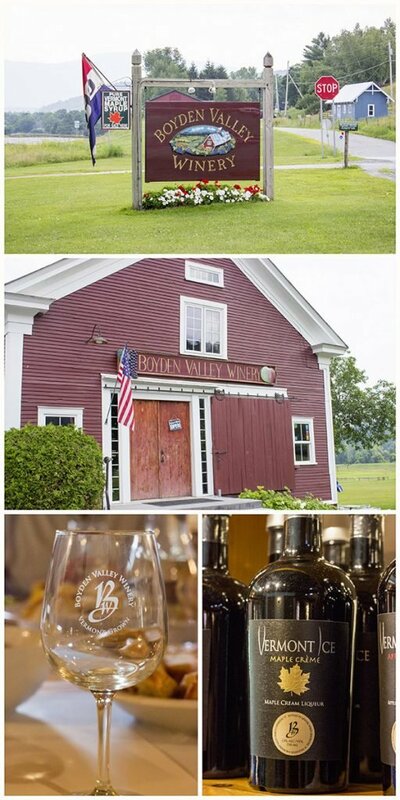 One of my favorite Boyden Valley wines was actually their Maple Cream Liquor. Think Irish Cream but maple. Yeah, it’s good. Between that and their Glogg, a mulled spice wine that is served hot around the holidays, we left with more than a couple bottles in tow. Oh, and how could I forget the local organic farm tour and farm-to-table dinner at Valley Dream Farm about 10 minutes away from Smugg’s? We piled in for a hayride through their various fields and crops. Then we unloaded just in time to enjoy a meal prepared by a local chef and served right there at the main building on the farm. There are literally hundreds of activities to choose from at Smugg’s, and I can say with 100% certainty that we will be back…if for no other reason than to eat at Hearth & Candle and grab another Maple Glazed Cinnamon Roll! Have I convinced you that you need a vacation yet? 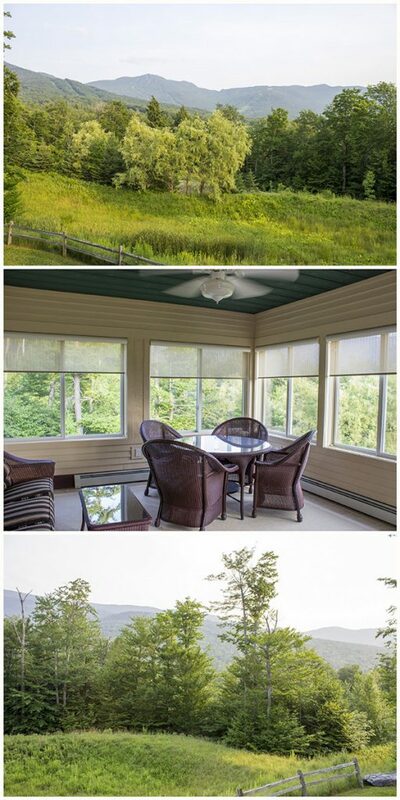 Check out Smuggler’s Notch and book a vacation to put your feet up by the pool. Or go hiking. Or kayaking. Or tour a maple farm and a winery. Or eat a lot of delicious food. Or maybe all of the above! Oh, and I’m crossing my fingers that our next trip to Smugg’s involves a moose sighting. Moooooose!! Stir yeast into warm milk; let stand for 5 minutes. In separate bowl or a countertop mixer, add the flour, sugar and salt. Stir until well combined. Add eggs and milk/yeast mixture; stir until well combined. Add diced butter to the bowl. 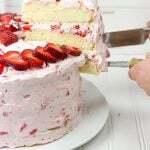 (If using a countertop mixer, gradually increase speed to medium.) Knead dough for about 10 min, or until very smooth. Grease a large bowl with butter or oil. Place dough in bowl and cover with towel. Let sit in warm spot until doubled in size (~1 hour). Fold dough several times and then let sit for 15 more minutes (covered). 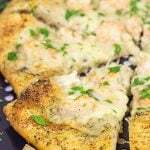 On a well-floured countertop, roll the dough into a large square approximately ½” thick. Brush the dough with the melted butter. Sprinkle the surface with Filling mixture, but leave a ½” border on all sides. Roll dough into a cylinder and press edges to seal. Cover pan lightly and leave in warm spot until approximately doubled in size. (~40 minutes). Bake rolls at 375°F until golden brown and puffed up (~15-20 minutes). 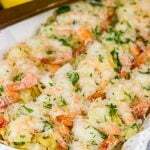 While rolls are baking, combine Glaze ingredients in a small sauce pan. Place over low heat, stirring occasionally, until well combined. 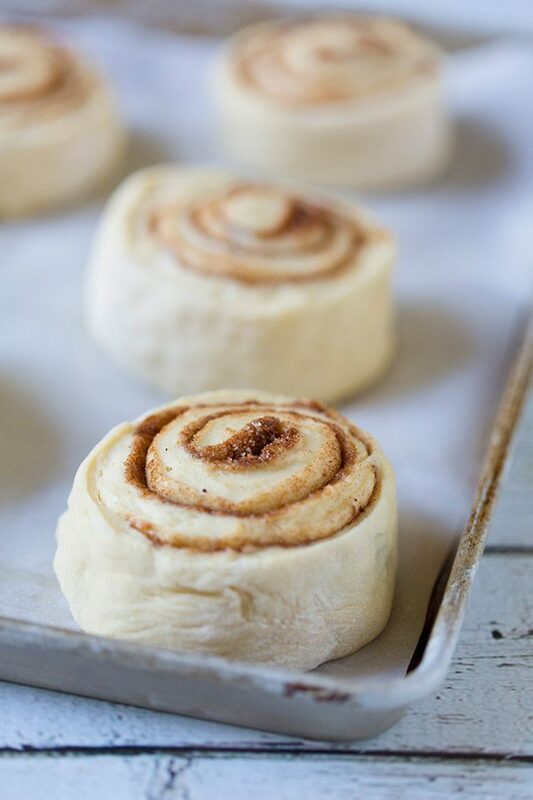 Once rolls are fully baked, removed from oven and pour warm Glaze over rolls. My wife and I received a complementary stay at Smuggler’s Notch as part of this post. However, all opinions are my own. Thank you for supporting the brands that support Spiced! I don’t know why the moose didn’t come when you called! Looks like an amazing trip with amazing food. 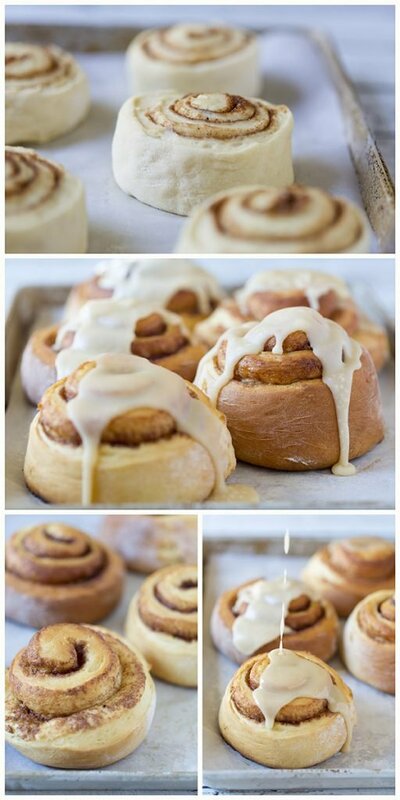 I love cinnamon rolls and these look spectacular! I know, right, Kathy! I can’t believe the moose don’t just come running when they hear our moose call. The nerve! This was an amazing trip…and I will be dreaming about those cinnamon rolls for many weeks ahead. Haha! Thanks! BTW – Smuggler’s Notch sounds and looks lovely! We will be coming up round July next year too – maybe not to Smuggler’s Notch but to the city and I sure hope we all get to meet up – it was a true pleasure meeting Sean, he is such a gem – we should all arrange a group meetup – what’d ya think? I love Vermont. My uncle has a cottage near Woodstock, very close to the Long Trail Brewing Co. (their Long Trail Ale is pretty solid!) I go there every other weekend during the winter to sky in Killington. I’ve been to Smugglers’ Notch just once, it’s a great place, I would love to go back. Oh man, we were just driving through Killington, Mike! I also love Long Trail Brewing…we didn’t make it over there on this last trip, but we’ve been there a couple of times before. I’m jealous that your uncle has a cottage over there. That sounds like the perfect place for a #WolfpackRetreat I’m thinking! Vermont sounds the place to be for me to be honest. Interesting post! These look beyond delicious! I need to go to Vermont ASAP! For sure, Phronsie…Vermont is an awesome place! Thank you!! Haha, we have a lot of Vermont maple syrup in our pantry now. I’ll either be using it in a lot of recipes, or I’ll just have to make a lot of these cinnamon rolls. Haha! Smugg’s sounds killer, I mean ziplines, hiking, swimming. How cool is that? PLUS, that chef – Korean BBQ Chicken and Waffles? Bring it! I laughed out loud when you wrote the four of us ate one cinnamon roll. Holy cow, that’s one big Maple Glazed Cinnamon Roll my friend! Pure Vermont Maple Syrup, full-sized kitchens, the possibility of moose sightings and breakfast danish like these Maple Glazed Cinnamon Rolls sounds like a fantastic getaway. I wasn’t lying when I said these Maple Glazed Cinnamon Rolls were legit, Kevin…haha! We totally saw moose crossing signs all over the place, but I couldn’t find the darned moose for the life of me. That’s ok, though, Smugg’s was definitely an awesome place and we enjoyed eating our way across Vermont for several days. The folks at Cabot even left us some goodies in the condo, too! Wait…you saw a moose…I’m jealous! I’ve heard they are like tanks, and I really just want to see one of the buggers. Although I’m not sure I would want to see him on the trail right in front of me. hah! I’ve never been to Vermont, but I’m sure as soon as I tell my husband about the craft brewery population he’ll book a trip ASAP. Which will be totally fine with me because you have completely sold me on a trip with this post! 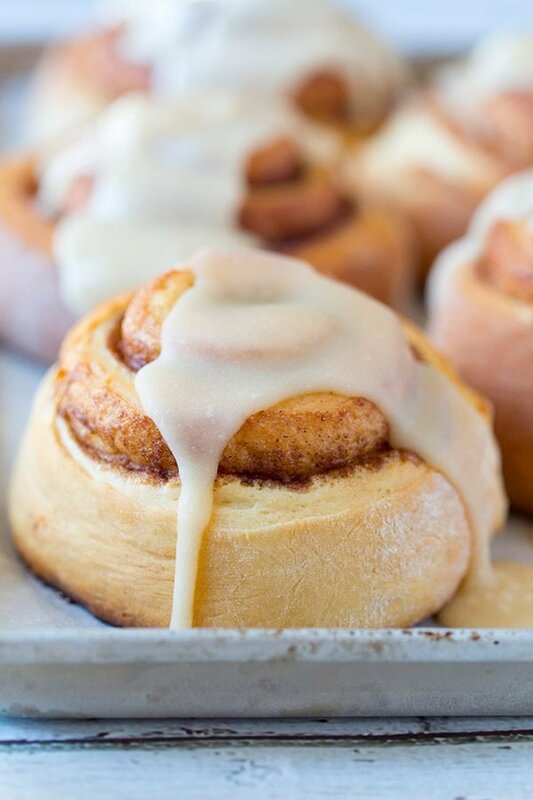 These cinnamon rolls look to-die-for!! Actually, our first experience with Vermont was a couple of years ago when my wife and I did a tour of the Vermont breweries. We hit 10 different ones in 3 days all across the state, and it was an awesome trip! We actually just repeated the trip (different breweries this time) with a friend. Vermont is pretty much one of my favorite states…and the Maple Cinnamon Roll really puts it at the top. Haha! You have definitely convinced me that I need a vacation soon! I’ve never been to Vermont but have always wanted to go, now even more so. 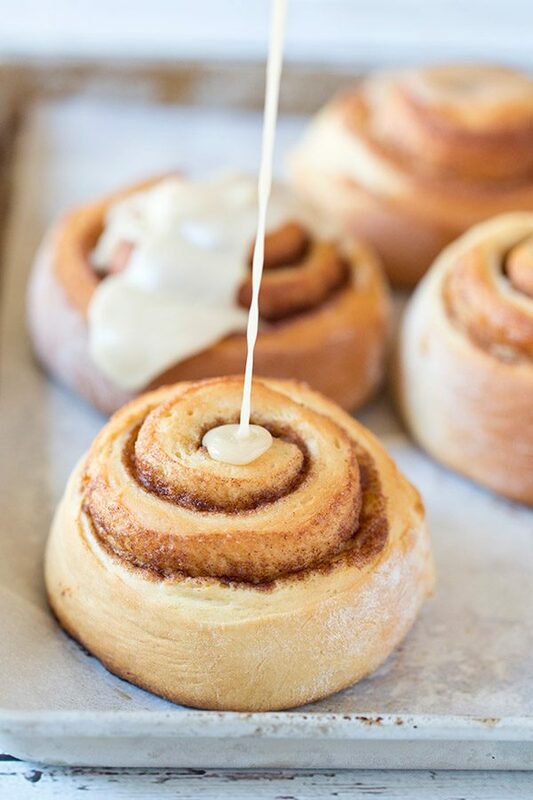 These maple cinnamon rolls look like the ultimate lazy weekend breakfast item…total perfection! I’ve always wanted to visit Vermont!!!! so beautiful!! 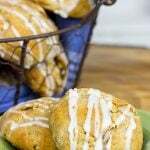 and I LOVE these cinnamon rolls. . these are perfection! I have always wanted to go to Vermont. Not only does it look beautiful, but the food looks pretty epic too. I will just have to stare at the pictures here instead. I should have totally dressed up as a Moose and hid at Smuggler’s Notch- What an epic name! Also…Koren chicken and waffles? Geebuz. I’m not jealous… Excuse me as I go find a Cinnabon lol. Haha…an Australian moose? Do they walk backwards, too? 🙂 Um, Cinnabon doesn’t even compare to this deliciousness. Does Cinnabon use Vermont maple syrup? I think not. And does 1 Cinnabon feed 4 people? I think not. Vermont maple syrup is THE BEST! These look ahhhhmazing. I couldn’t agree more, Bianca! We always keep Vermont maple syrup in our cupboard…that stuff is delicious!! Now if only I could find a way to always keep one of these cinnamon rolls in my cupboard, too…haha! Hi David! 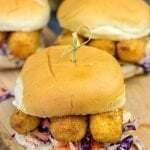 I forgot to ask – when you were in Nashville did you get a chance to try Bro’s Cajun or track down that food truck? I’m not much on “city living”, but the food possibilities sure are a draw! We never made it to the food truck. Courtney knew about it, but we had her baby with us so it was difficult to wander out much. It’s definitely on our list for a future visit though. I did get a chance to try “nashville hot chicken” though. That stuff is amazing! Basically the best fried chicken ever but they offer various levels of spicy…with the hottest being almost too hot to eat. Haha! Awesome post! Can’t wait to try these buns. What a beautiful resort! And these cinnamon rolls? Have mercy!!! Those cinnamon rolls were delicious. Glad you shared yours with us. Now I’ve got to try and make them for myself. Great post! Hi there, thanks so much for sharing your recipe with all of your followers, I have never made Maple Glazed Cinnamon Buns from scratch nor have I ever taste them lol. I will surely give this recipe a try. Hey there, Veronica! 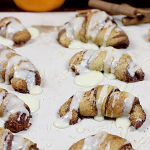 You should definitely give these cinnamon buns a shot…they are really, really tasty! But make sure to use good Vermont maple syrup for the glaze! 🙂 I hope you enjoy these buns as much as we do!